I am best worker of captcha typing and data entry. 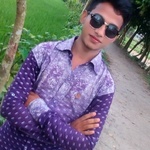 I am Ismail hossain. I am best typing master and captcha typing experience. It is a long since ago, I am doing data entry and captcha typing. I am 21 years old. I am a graduate...Read moreI am Ismail hossain. I am best typing master and captcha typing experience. It is a long since ago, I am doing data entry and captcha typing. I am 21 years old. I am a graduate student of gov. saddat university college..